Flip a coin. If heads, this attack dose nothing. Flip a coin. 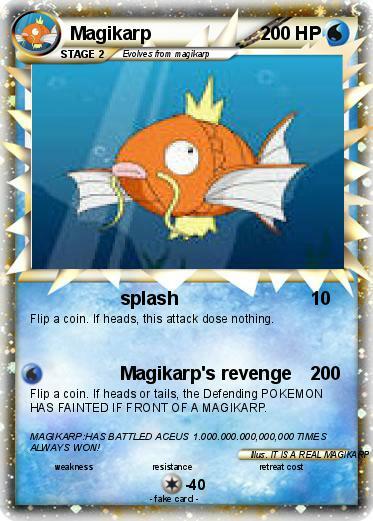 If heads or tails, the Defending POKEMON HAS FAINTED IF FRONT OF A MAGIKARP. Comments : MAGIKARP:HAS BATTLED ACEUS 1.000.000.000,000,000 TIMES ALWAYS WON!